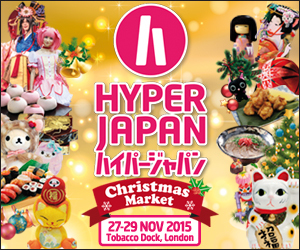 Hyperjapan is run by (I believe) a Japanese media group, so the organisers are 99% Japanese. This is great as they know the trends very well and means the guests are always amazing but also it's really hard to get information out of them. They don't care about artists, testament to this is the fact the AA is only included sometimes, however the table costs for dealers are worth it as I make the most money at this con. Having to buy separate insurance and the 35 page manual with risk assessments etc is also a real pain but again worth it. The venue changes each time: the last Xmas market was at Tobacco Docks, which is a very beautiful (and old) building so amazing for cosplayers but terrible for staff as it meant it had no heating. It was also a little maze-like which was OK but not optimal for traffic.